If someone says they own a crossover but they can’t remember which one, the odds are it’s the sensible Honda CR-V. What do you need to know before you buy a Honda CR-V? Don’t worry, we’ll tell you everything right here in our Buyer’s Guide. You couldn’t possibly go wrong buying a Honda CR-V. It does everything it promises, it does it efficiently, and it does it in the most inoffensive way possible. Because it’s a Honda, you can assume that it’s going to offer reliable transportation long after the warranty is over and you can expect few problems. For a lot of people, the Honda badge is enough of a reason to buy a vehicle. The 2015 CR-V gets a revised fascia and, most importantly, a new powertrain. That’s right, the old 2.4-liter I4/5-speed automatic duo gets replaced with a 2.4-liter direct injection motor backed by a continuously variable transmission. Fuel economy numbers go up drastically from last year to a very respectable 29 MPG combined for the 2-wheel drive model. 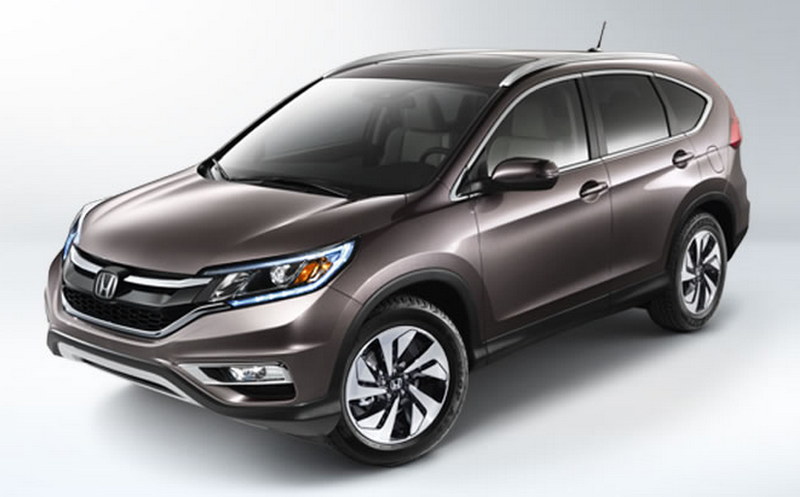 The Honda CR-V comes in five trim levels, the prices of which range from $23,445 all the way up to $31,645. But they all come with the same powertrain, so if it were us, we’d go with the bare-bones model. It’s not fancy, but even the base LX gets you AC, power windows and locks, front and side airbags, stability control, bluetooth, and a rearview camera, and that’s all we need. Sure, you’ll have to make do with steel wheels and unheated front seats, but come on, this is an A to B car. You get all the fuel economy, safety, and resale value from that base stripper model, so that’s where we’d put our money.